Count your savings when you put nitrogen in your tires! Why should you pay extra to fill up your tires with nitrogen, instead of using the free regular air at the gas station? In these tough economic times, it may take a bit of convincing, but here at Nitrofleet99 we’ll run the numbers and show you the savings you can accrue. We’ll also highlight additional costs you may not be thinking about when filling up your tires with that free regular air. We’ve written previously on how nitrogen tire inflation saves gas money and maintains the proper tire pressure of your tires. But, just exactly how much money can you save? Is it really worth it? As you’ll see, the answer is a resounding YES. It costs anywhere from $3 to $10 per tire to fill it up with nitrogen, so lets presume you spend $40 to fill up your tires with nitrogen with Nitrofleet99. Your tires will lose between one and two pounds per square inch of air over the next six months (compared with the six to 12 that you would lose if you used regular air). So, in one year, you’ll spend $80 to keep your tires filled with nitrogen. Now, let’s say that you drive 14,000 miles per year, and gas in your area costs, on average, $3.50 per gallon. Let’s also say that your vehicle gets 26 miles to the gallon (you haven’t yet purchased a hybrid). Divide 14,000 by 26 and you get approximately 538, the number of gallons of gas you use per year. Multiply those gallons by $3.50, and you’ll find that in this situation, you are spending $1,883 per year on gasoline. However, with nitrogen, you can increase your fuel efficiency between three and four percent. So, four percent of $1,883 is about $75. With nitrogen tire inflation, you can save $75 per year on gasoline. That number goes up if gas prices go up, or your yearly mileage goes up. With just your gasoline savings, the nitrogen tire inflation service has pretty much paid for itself! Because of the proper tire pressure that nitrogen tire inflation provides, you also save money with increased tire life and decreased risk of flats and blowouts. It costs about $400 to replace a full set of tires. 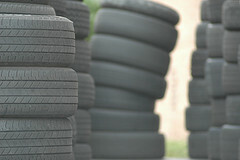 But having your tires last longer, you have to replace them less often, saving you even more money. As you can see, nitrogen tire inflation pays off not only in savings, but in peace of mind. Why wait to be like this guy before doing something about your tires, when you can do something about it now with nitrogen tire inflation? We came across an article from Fox Business that debunked the benefits of nitrogen tire inflation. The article claimed that since you can’t slow air leakage from your tires, inflating them with nitrogen isn’t worth the $5 per tire cost. It also claimed that since studies couldn’t definitively conclude that nitrogen slows the oxidation and deterioration of your tire, it ought not to be considered a benefit. Here at Nitronomics, we think that this Fox article from 2010 is missing the big picture. These benefits make a huge difference if you manage a fleet a vehicles for a company. The benefits have already been seen in law enforcement. Although a typical consumer doesn’t have a fleet of vehicles to manage, it only takes one dose of nitrogen tire inflation to see the difference and to better protect oneself against flats and tire blowouts. Especially in this busy summer travel season, where people more likely to experience a tire problem or to be driving on an under inflated tire (or more) since people are more likely to be driving longer distances. 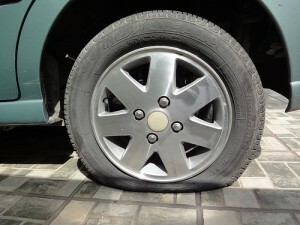 For a consumer, it only takes one flat or blowout to eat up a lot of time and money. Why wait until an emergency before doing something about it? After all, intelligent people solve problems, but geniuses prevent them. So what if it may cost a little bit a money? That’s money well spent if it prevents an blowout from happening on the highway, where lives are at risk. It’s also money well spent if it saves money in the long run, which it does by boosting your fuel efficiency and extending the life of your tires. That’s less money on gas and tire replacement. Nitrogen tire inflation is like many other goods and services in life. You get what you pay for. 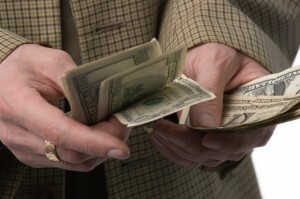 If you’re willing to spend the money now in due diligence, it’ll pay off in the long run. Choose to scrimp now, and you might end up paying a very different price. To learn more about the practice of nitrogen tire inflation, check out nitrogen tire dealer Nitrofleet99. So many tires, and so many tire companies, support the practice of nitrogen tire inflation. Photo by Eva Cristescu. We did a post a month or two ago about a Ford study that demonstrated the benefits of nitrogen tire inflation and had the green light from Ford itself to inflate its tires with nitrogen. Well, Ford isn’t the only tire company out there to approve the use of nitrogen tire inflation in its products. In 2003, Michelin approved the use of nitrogen for all Michelin, BFGoodrich, Uniroyal, and P/A branded tires. Michelin did this because of nitrogen’s ability to maintain proper tire pressure for a longer period of time. In 2004, Goodyear followed suit and officially came out in in support of nitrogen tire inflation in all its Goodyear, Kelly, Dunlop, Associate Brand, and Private Brand products. This is based on the fact that the use of nitrogen extends the life of the tire. Although Firestone has not issued an official statement, the company does provides tons of great information on nitrogen tire inflation as part of their complete auto care website. Companies as large as Ford, Michelin, and Goodyear wouldn’t support the practice of inflating your tires with nitrogen if the practice didn’t have any proven benefits to consumers. Well, they do, and the practice is already being used by NASCAR, the military, the airline industry, and some law enforcement agencies. It’s only a matter of time before the service is available in more consumer locations such as gas stations and auto repair shops. There are already companies out there that specialize in nitrogen tire inflation for the consumer market, such as Nitrofleet99. Overall, the practice of inflating your tires with nitrogen has been getting more popular and more credibility over the years, and this trend will only continue as more and more people are concerned with fuel efficiency and green initiatives in the auto industry. Using air to inflate your times may become a thing of the past. 85% of Motorists Don’t Know How to Properly Inflate Tires. So What’s a Motorist to Do? With proper tire pressure and nitrogen tire inflation, you won’t end up like this guy! According to the Rubber Manufacturing Association, 85% of motorists don’t know how to properly inflate their tires. This is bad news considering that we are right in the middle of summer travel season, and that it really only takes a few minutes to ensure proper tire pressure in all five of your tires (yes, you ought to include the spare)! Check the current tire pressure. It’s best to do this on a monthly basis, and before and after long trips. Perform the check when the tire is cold (so, not right after driving). Make sure to use the recommended pressure listed in your owner’s manual as a guideline. DO NOT go by the number listed on the sidewall. If your tire(s) is under inflated, fix this immediately. Under inflated tires reduce your fuel efficiency and are a safety hazard when driving. All that may seem like a lot, and let’s face it, checking your tire pressure is something that’s easy to forget. If there was a way to maintain proper tire pressure for longer periods of time, then it wouldn’t be so troublesome to forget. Maybe it might be easier to remember because I have to remember to check my pressure fewer times during the year. Well, such a solution is achievable with nitrogen tire inflation! Inflating your tires with nitrogen instead of regular air has been shown to extend the life of your tire, increase fuel efficiency, and maintain proper tire pressure longer. If you find that you have under inflated tires, there’s no need to deflate them entirely of regular air before making the switch to pure nitrogen. Nitrofleet99, a provider of nitrogen tire inflation systems, demonstrates that nitrogen tire inflation is a green technology that doesn’t require any changes to your vehicle, only a behavioral change in how you inflate your tires when you pull up to the gas station or auto repair shop. So what’s a motorist to do if you don’t know how to inflate your tires properly? Inflate them with nitrogen! It’s better in the long run, for you and your vehicle.